City Councilman Chris Ward and Supervisor Nathan Fletcher joined a group of community leaders Monday to unveil an outreach initiative for Hillcrest’s homeless residents. The city and county launched Connect Hillcrest with the assistance of local organizations and agencies like the San Diego Housing Commission, the San Diego Police Department, Father Joe’s Villages and the Regional Task Force on the Homeless. 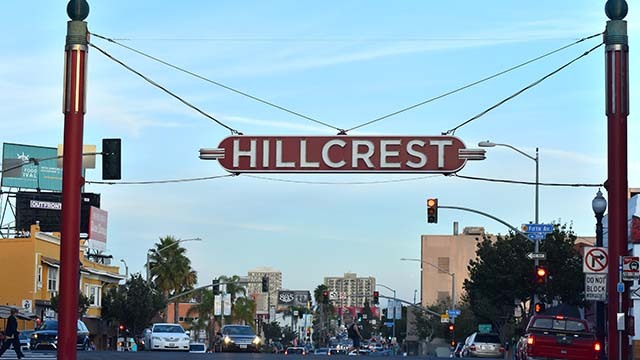 The program aims to connect homeless residents in Hillcrest with trained service workers to help them obtain stable housing and social services. The announcement comes four days after Ward announced the launch of a similar program for homeless residents in the North Park and City Heights neighborhoods. Both are part of the city and county’s efforts to improve access to necessary services like housing assistance, job training and medical care for the county’s homeless population. Last year’s point-in-time homeless count estimated the county’s unsheltered homeless population at roughly 5,000.